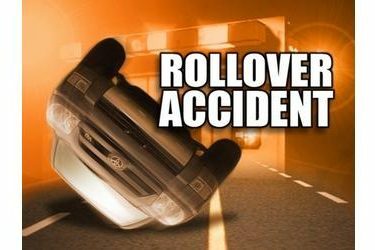 The Oklahoma Highway Patrol reported a personal injury collision occurred about 1:48 p.m. Wednesday on State Highway 15, about 0.3 miles east of County Road 170, which is located about half a mile east of the Red Rock, OK city limits in Noble County. The patrol said the accident involved a 1995 International garbage truck driven Leroy Fred Ward (SIC), 81, of Ponca City, OK. Ward was transported by ambulance to Stillwater Medical Center in stable condition with neck and trunk internal injuries. A passenger in Ward’s vehicle, Joshua M. Martinez (SIC), 33, of Blackwell, OK was not injured. A second passenger in Ward’s vehicle, Ricky Dean Sallee Jr (SIC), 30, of Tonkawa, OK was also not injured. The Highway Patrol’s report stated that Ward’s vehicle was westbound on SH15, departed the roadway right, re-entered the roadway, departed the roadway left, and rolled one-quarter of a time, coming to rest on the passenger side. Seatbelts were equipped and in use by all parties. The condition of the driver was apparently normal. The report notes that weather conditions were rainy, the roadway was wet, and the cause of the collision is attributed to unsafe speed for the conditions. Investigated by Trooper Josh Kelle #493 of the Kay/Noble County detachment. Assisted by Trooper Chris Vaughan #832 of the Kay/Noble County detachment, Noble County Sheriff’s Office, Red Rock Fire Department, and Perry EMS.